I am a hopeless romantic who will one day be swept of her feet by a white knight. Until then I will continue to write/read/review about alpha heroes. 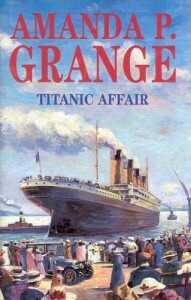 Emilia is leaving Southampton for a new life in Ireland on board the ill-fated Titanic. There she meets Carl, a wealthy, overbearing man, who steals her heart, but Emilia has a secret, one that she hasn't managed to leave back in Southampton... and of course looming in the shade is the 'unsinkable' ships doom.